We are in a Food Rut, so I'm Trying a Meal Planning Service! Ok, I'm trying something new. It's called Cook Smarts. 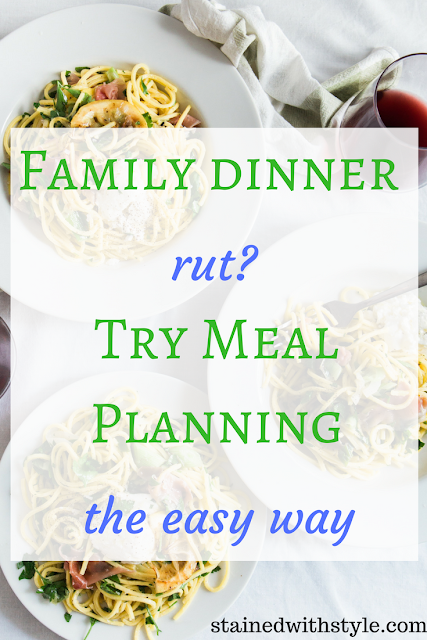 I am SO tired of our family food rut, and cook smarts seems to be an easy way to change things up! They send a weekly menu plan, with a shopping list (and since I have been doing Whole Foods delivery with Instacart, that makes it even easier). I will keep you posted on how it goes, but in the meantime, here is more information about their 10 most popular dinner recipes! You can try it for free, and get three meal plans. I'm hoping we throw less away. It's super annoying to have food go to waste because we don't have a plan to use it! Did I mention that Cook Smarts works directly with Instacart to upload the grocery list?! Such a time saver! Look! I just add it to my Instacart order! 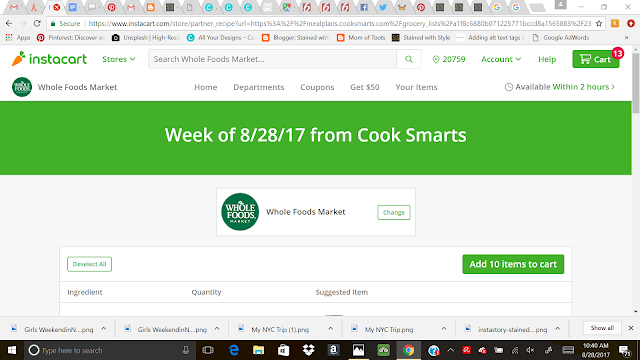 I went to the weekly menu, picked three (from the weekly plan) that I liked, and clicked "add to my Instacart" (for delivery). You also have the option to email or print it. I also love that I can add it to my MyFitnessPal app, with the push of a button, to help me track calories. Remember when I ate ALL THE THINGS? Now it's payback time, and I have to be more careful. HA! Cook Smarts has some freebies on the site that I found pretty handy, like the guide to creating a functional kitchen. The pantry guide shows you what a well stocked pantry looks like. I am excited to see if I can convert some of these recipes for my instant pot! 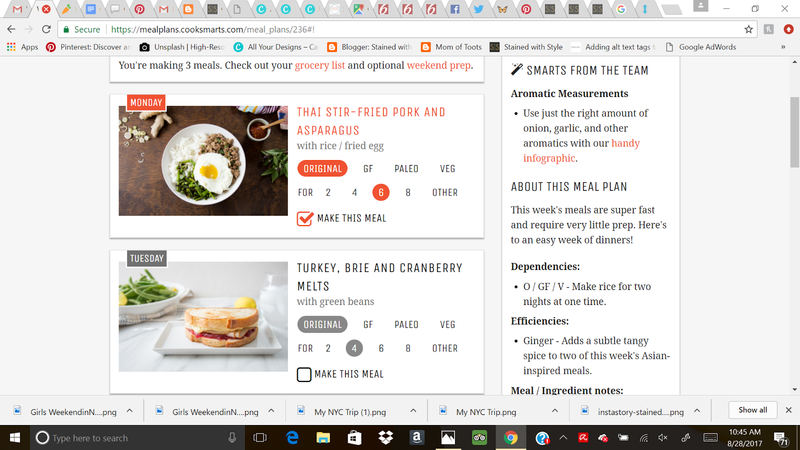 Already, I see that I can prep rice easily...Cook Smarts also has cool pinnable images to help remember how long produce will stay fresh.